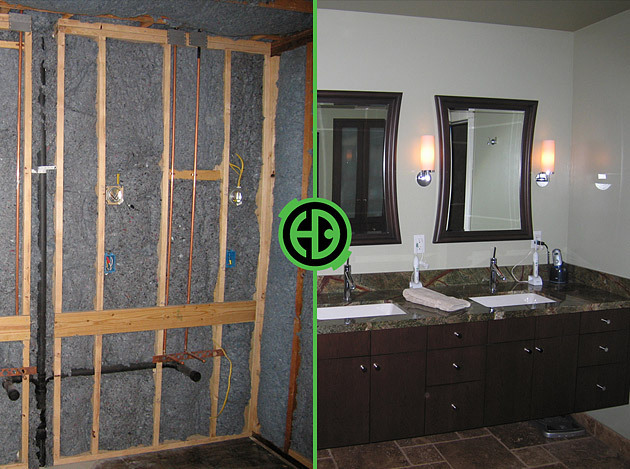 We take great pride in our service and our craftsmanship, and the results are obvious. 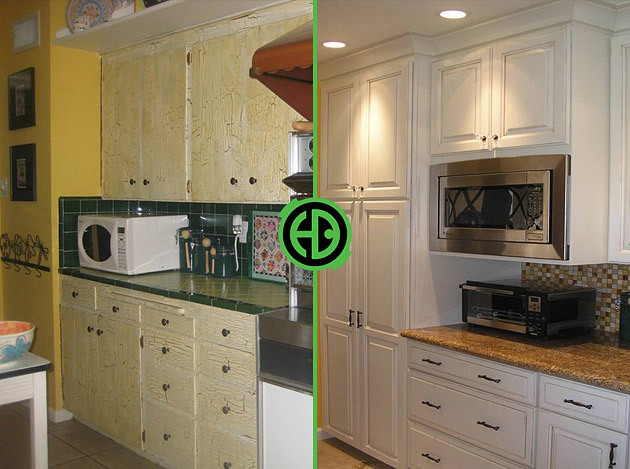 Take a look at some of these before and after photos of our recent projects, then contact us with your residential remodeling needs. 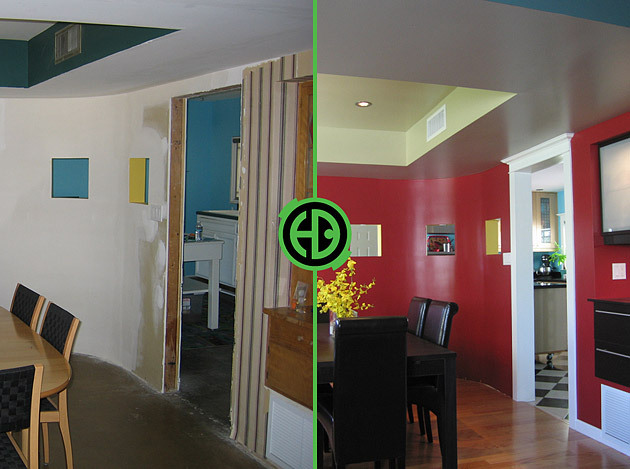 A bland room becomes a colorful and vibrant dining area. 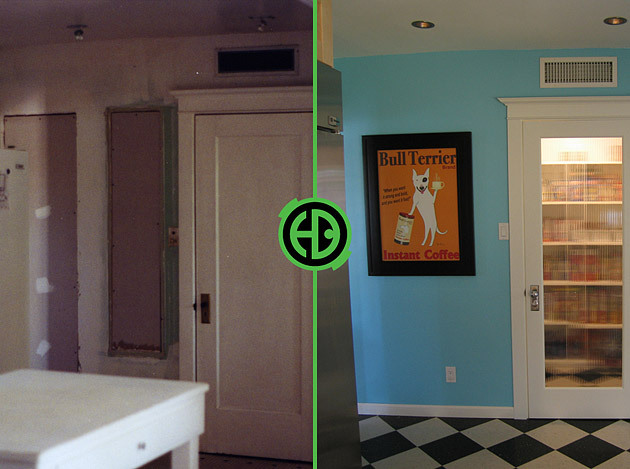 The old wallpaper and tile were replaced with bold and bright surfaces. 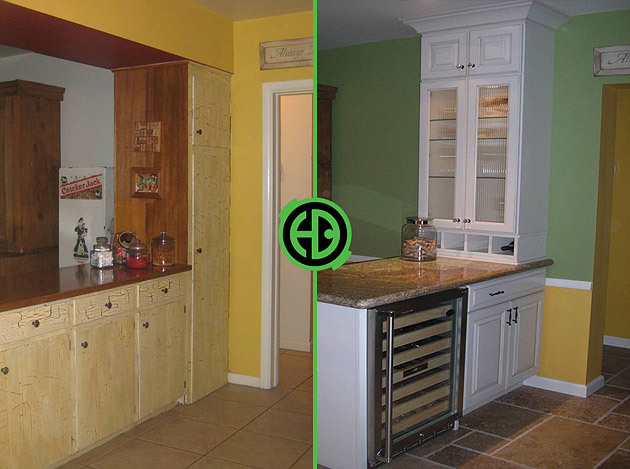 This kitchen got a modern facelift with new cabinets, countertops and flooring. 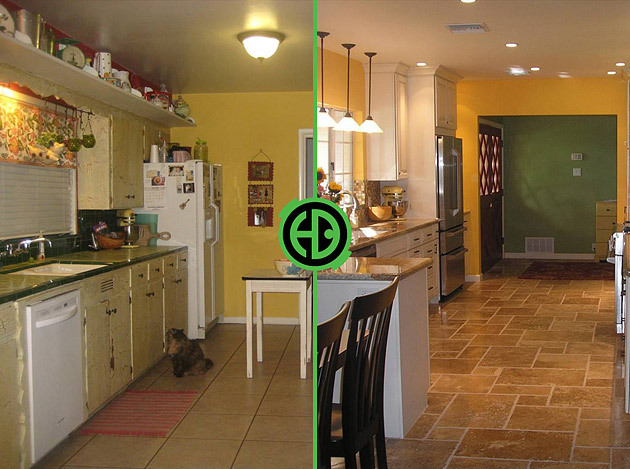 Paint, lighting, flooring, trim -- it all comes together for a bild modern style. 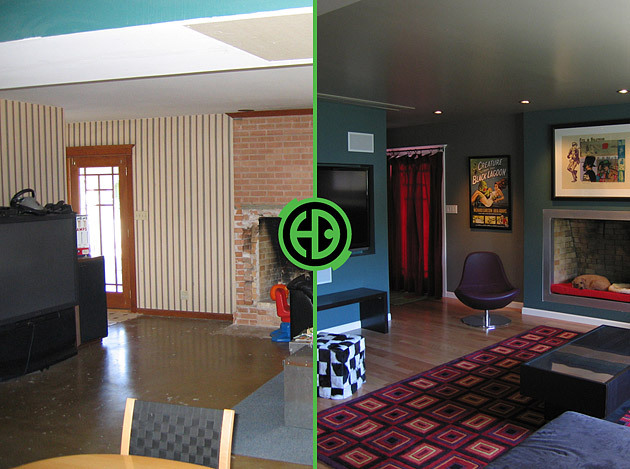 A new fireplace surround, flooring, paint and trim create a modern beauty. 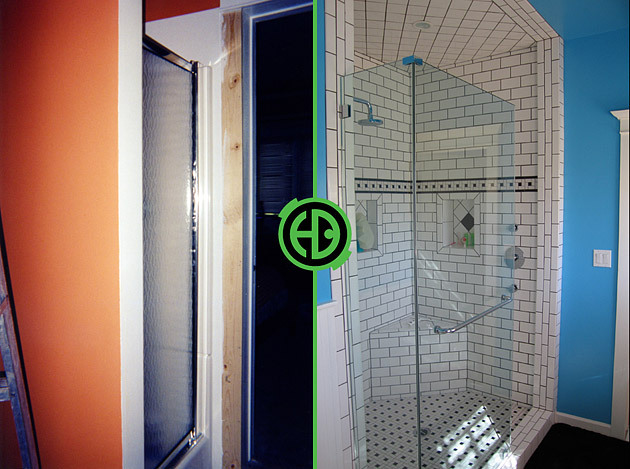 We created an airy and spacious shower stall with a bold art deco style. 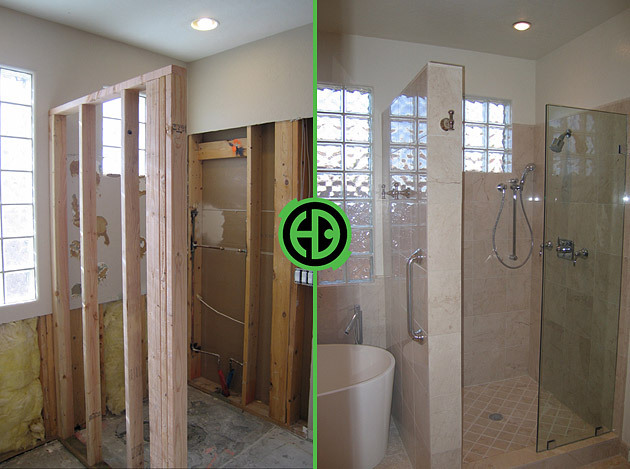 New fixtures, tile and paint completed this bathroom remodel. 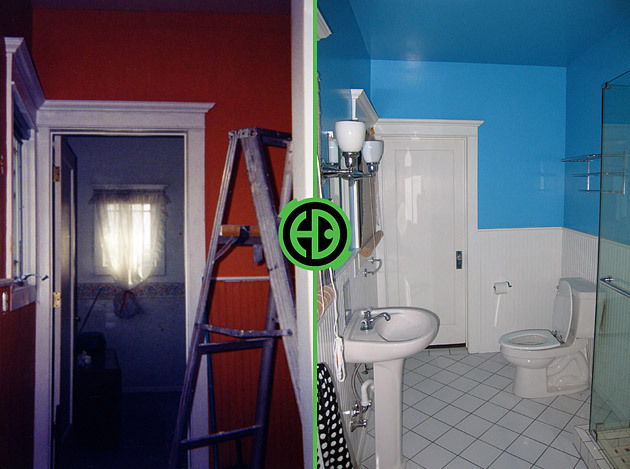 A complete new bathroom, tub, toilet, tile, fixtures, paint, cabinets and countertops. The harmony of colors and textures creates a warm and calming environment in this bathroom. 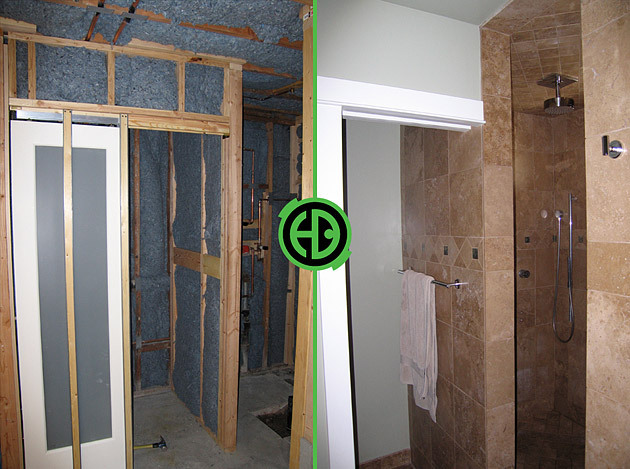 Floor to ceiling tile, a rainshower head, and doorless entry make up this modern shower. 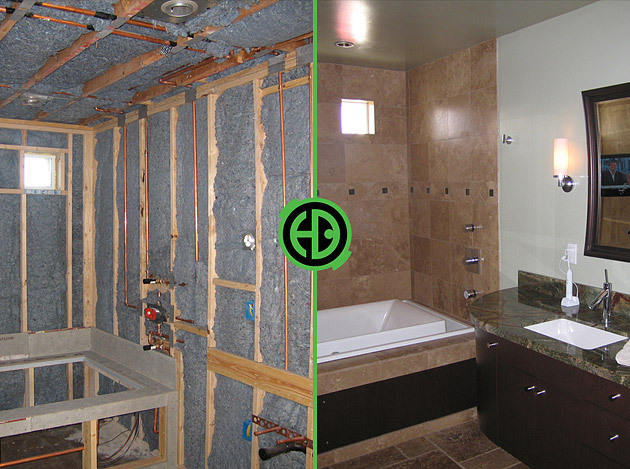 The light-colored surfaces reflect and amplify the natural light in this bath remodel. 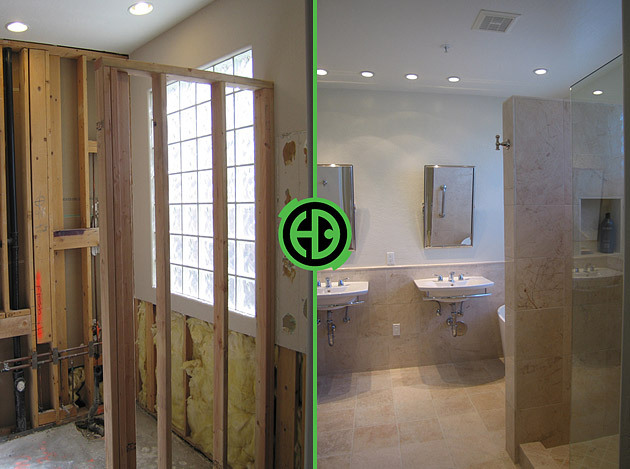 A modern and functional bathroom with an open uncluttered design. 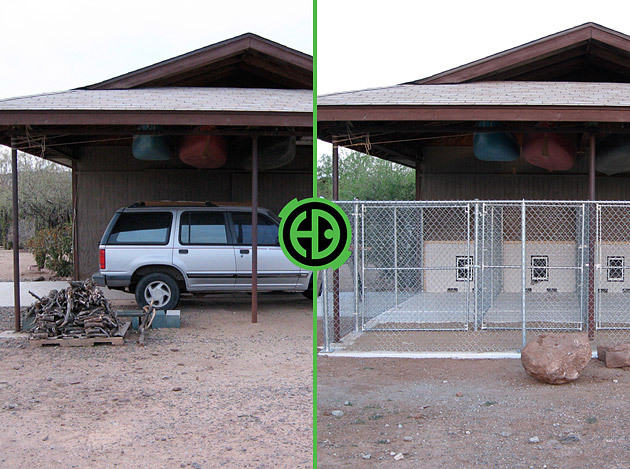 The underutilized carport became outdoor kennels for this show dog trainer. 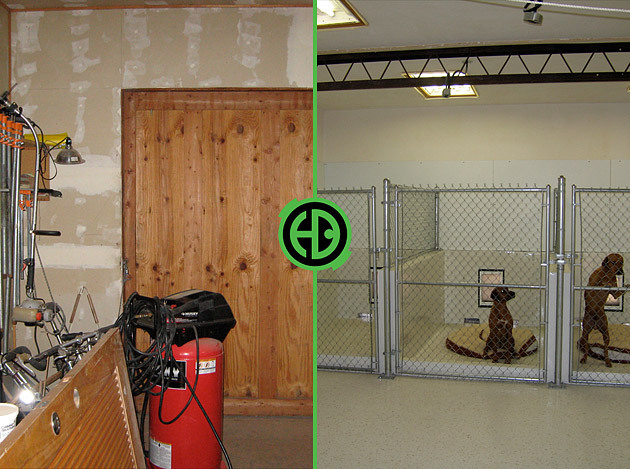 The indoor kennels connect through dog doors to the outdoor kennels. 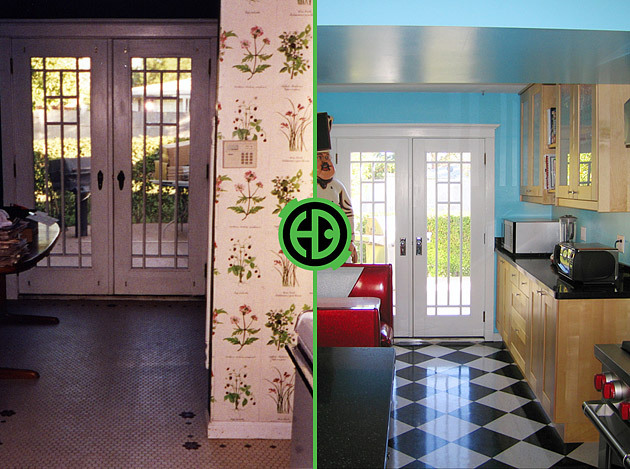 We gave this out-of-date kitchen a bold new look. 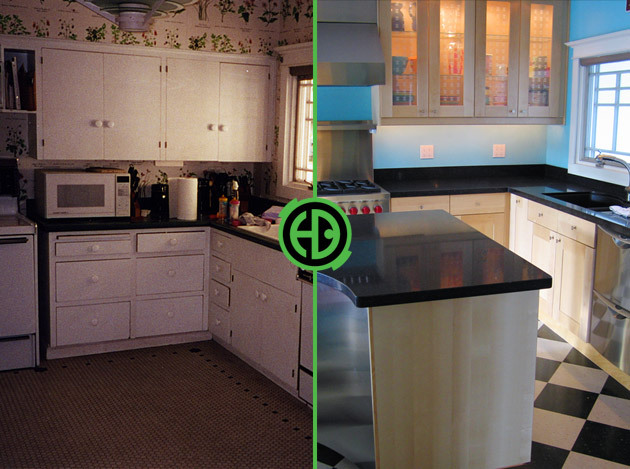 New countertops, cabinets, and lighting contribute to this kitchen's update.